CHESAPEAKE BAY MARITIME MUSEUM HOSTS PLEIN AIR-EASTON! The Avalon Foundation and the Chesapeake Bay Maritime Museum have launched a new partnership as part of the 7th Annual Plein Air–Easton! Competition & Arts Festival, to be held July 18-24, 2011. During this year’s Plein Air–Easton! the Chesapeake Bay Maritime Museum will present an exciting all day event on Wednesday, July 20, 2011. On this date, the museum campus, including the grounds, harbor, and buildings, will be opened to competition artists for a day long painting extravaganza. This is an ideal setting for landscape and marine scenes—the museum’s floating fleet of historic Chesapeake Bay watercraft is the largest in existence and its small boat collection includes crabbing skiffs, workboats, and log canoes. Situated in the historic town of St. Michaels and boasting 18 waterfront acres on the Miles River, the museum is sure to attract many painters, art enthusiasts, and visitors to the area for this unique opportunity to experience two Talbot County’s treasures at one time. Other components of this special day will include docent tours of the museum grounds and buildings, a Plein Air–Easton! information headquarters, and sights of evening sailboat racing. To top off the day, the museum will host an invitational picnic open to Plein Air–Easton! artists, volunteers, and sponsors. The dinner includes a BBQ-style buffet, live music, and the opportunity to talk with artists and watch them at work. During this private gathering, attendees may stroll the museum grounds and enjoy the picturesque Miles River and Fogg’s Cove. The Chesapeake Bay Maritime Museum is a non-profit organization dedicated to sharing the heritage and stories of the Chesapeake Bay. 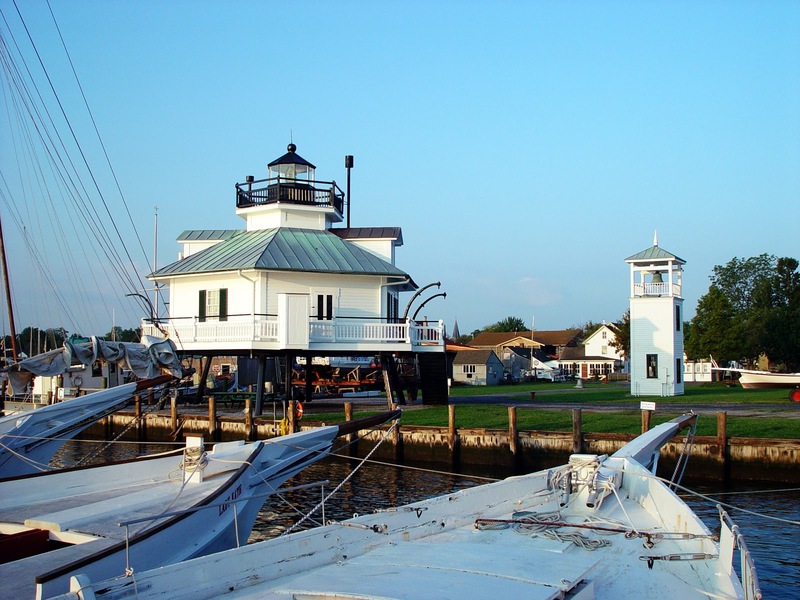 The museum offers exhibits, demonstrations, boat rides, and annual festivals that celebrate Chesapeake Bay culture, boats, seafood, and history. Shipwrights building authentic Chesapeake wooden boats are part of the museum experience, and they are available to share the heritage of traditional boatbuilding with visitors. In addition to hosting changing art exhibits from around the Chesapeake Bay and the maritime trade, the Maritime Museum creates and encourages a memorable, hands-on experience in its permanent exhibits, making it a fun place for all ages to visit. For more information, visit www.cbmm.org. Mark your calendar now for this and other events during the 7th Annual Plein Air–Easton! on July 18-24, 2011. For the latest information, visit www.pleinaireaston.com, email info@pleinaireaston.com or phone 410.822.7297. Avalon Foundation and the Chesapeake Bay Maritime Museum have launched a new partnership as part of the 7th Annual Plein Air–Easton! Competition & Arts Festival, to be held July 18-24, 2011.